The following is a list of radios that can be used with System Fusion, I will list some of the features and what modes that can be ran with the radio. This page is a work in progress, so please keep checking back for more related information. Please go to the bottom of the page for a comparison chart. 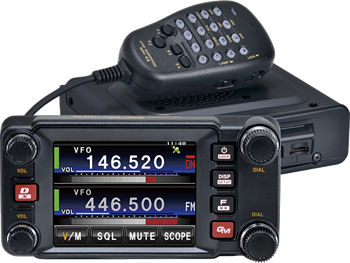 FT-991/A is capable of System Fusion, it can be used for Wires-X also. This radio can be used as a node, but only in Analog mode, you can’t run a Wires-X node in Digital with this radio. If you just want to use it for System Fusion and connecting to Wires-X through another node/repeater this is a great base station radio, No GPS but has the option to plug one in on the rear, GPS coordinates can be set in the menu. The radio can also do conventional Analog and 160 m through 6 m.
FTM-400DR is capable of System Fusion, it can be used for Wires-X also. 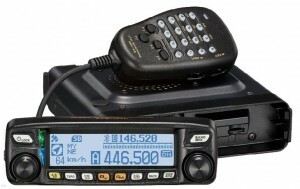 This radio can be used as a node and can run a Wires-X node in Digital. FTM-100D is capable of System Fusion, it can be used for Wires-X also. This radio can be used as a node and can run a Wires-X node in Digital. FTM-7250DR is capable of System Fusion, it can be used for Wires-X but only on the present room, I am unsure if you can use DTMF to change rooms with this radio. FTM-3207DR is capable of System Fusion, it can be used for Wires-X but only on the present room, I am unsure if you can use DTMF to change rooms with this radio. FTM-3200R is capable of System Fusion, it can be used for Wires-X but only on the present room, I am unsure if you can use DTMF to change rooms with this radio. FT2DR is capable of System Fusion, it can be used for Wires-X and can be used to select rooms, changing of rooms is listed once connected to a Wires-x capable repeater/node. FT-70DR is capable of System Fusion, it can be used for Wires-X but only on the present room, I am unsure if you can use DTMF to change rooms with this radio.